Microorganisms are the most abundant and diverse group of living organisms on the planet, and their activity underpins all major ecosystems. Many of these organisms, including bio technologically and medically relevant species, have evolved the ability to swim, move or crawl and are capable of adapting their motility in response to a variety of external stimuli (e.g. mechanical, chemical, light). Motility is currently believed to confer a selective advantage, especially in environments where nutrients are scarce and ephemeral, like most of the world’s oceans. Marco will review some of his work within this area, from microalgae coordinating their microscopic flagella to their ability to swim towards light, while trying to highlight what makes this a fascinating field for a physicist. Assistant Professor Marco Polin received his PhD in 2007 from the Center for Soft Matter Research at New York University, on measurements of colloidal interactions using holographic optical tweezers (HOTs) and liquid structure theory. From 2007 to 2013 he worked in the Department of Applied Mathematics and Theoretical Physics (DAMTP) at the University of Cambridge, first as a Marie-Curie Fellow and then as an EPSRC Postdoctoral Fellow. He investigated eukaryotic flagellar dynamics, using micromanipulation and high-speed imaging of Chlamydomonas reinhardtii and Volvox carteri. During these years at DAMTP, Marco combined experiments and modelling, and i) showed for the first time that flagellar synchronization results from an interplay between hydrodynamic forces and flagellar elasticity; ii) discovered the existence of (biochemical) flagellar beating noise; iii) showed that microalgae regulate flagellar coordination to achieve run-and-tumble-like locomotion; iv) discovered a novel model system to study metachronal waves and performed the most complete characterization of their dynamics; v) measured for the first time the flow field generated by freely swimming microorganisms. This research helped to establish Chlamydomonas as an important system in biophysics, and was recognised by the award of a Junior Research Fellowship at Clare Hall, Cambridge. In September 2013, Marco joined the Physics Department at the University of Warwick as a Lecturer, and built his experimental laboratory, continuing his work in the field of microbial fluid dynamics. 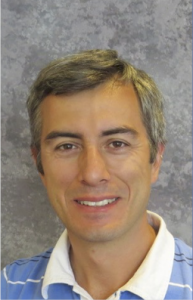 Since 2017, Marco has been a Principal Investigator in the Centre for Mechanochemical Cell Biology at Warwick.